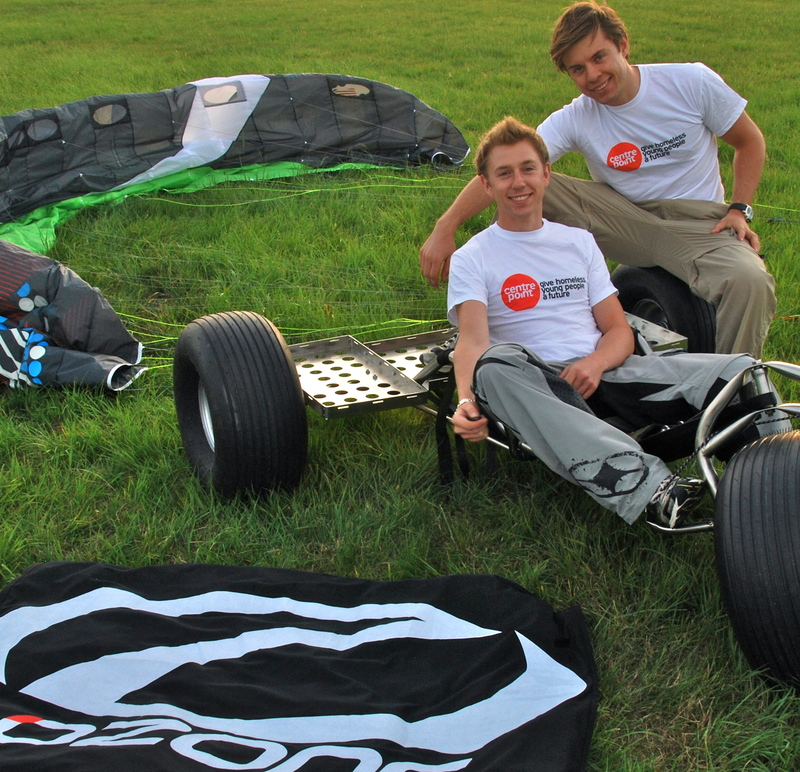 Charlie (left) and Harry (right) with one of the Outlaw Buggies, an 11m Ozone Frenzy kite, and their Centrepoint charity t shirts! Two brothers, Harry and Charlie Thuillier are kite buggying 1000km up the Northeast coast of Brazil, from Natal to Jericoacoara in Ceara. This is about the same length as the UK. We’re windsurfers and are fairly well travelled, but until May 2011 have never kited or kite buggied before. This is the next big challenge. As far as we know, this kind of expedition has never been attempted in this area of the world, and it will be the longest kite buggy expedition ever attempted without vehicle support. Charlie Thuillier (left, above and below) is 22 and has just finished a degree at York University and is doing this expedition before starting work in September. He’s been hooked on backpacking since his pre-university gap year, and has managed to travel extensively since. Charlie loves to try his hand in any extreme sport, including downhill mountain biking, windsurfing and extreme martial arts (tricking). Harry Thuillier (right, above and below) is 25 and is marketing manager at Racelogic, a motorsports electronics company. He travelled around the world by himself at 18, working for several months in India, trekking in Nepal and playing the piano in bars around South East Asia and Australia before going to Durham University. 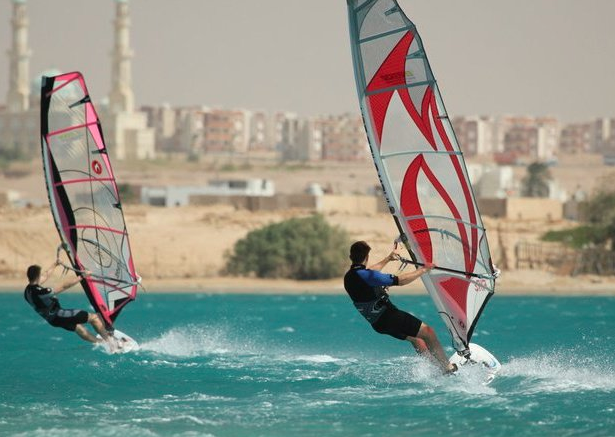 Like Charlie, Harry has been windsurfing for 5 years and kite buggying for 2 months! I just met you both yesterday at Barra do Rio beach… my name is Clenio (kitesurfer with orange north kite). If you need any help just keep in touch! Thanks Clenio – was great to meet you! We´re enjoying it so far and making progress although it~s not easy! At touros now. Check out our facebook page http://www.facebook.com/kitebuggyadventure hopefully see you on there! how was the river x-ing in Paracuru? From the GPS data it looks that you managed to do it. Any photos available? Would be interesting.. Sounds a dodgy way of crossing water – no boats…? Guinness Book of Records have just called me to say your World Record bid is in doubt. They couldn’t decide if Charlie’s attempt was ‘electrically assisted’ or Harry wearing just a Brazilian was the problem! Haha – I think Charlie´s attempt was if anything hampered by electricity, and I thought the front tyre tastefully obscured any hint of my arrangements downstairs 🙂 Thanks again for your generous donation – at 120% of our charity target now! I want to see some footage of your trip!!!!! Soon! !